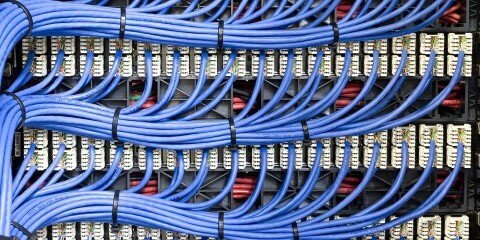 Why is effective network cabling essential? 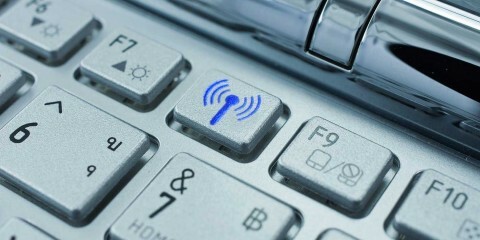 Keeping your communications operating smoothly is a major issue for any business. The key devices that store and communicate your business information need to be reliable to keep a business running efficiently and effectively. Out-dated, poorly installed or inadequately maintained network cabling can cause significant business interruption and incur unnecessary cost to a business. In a large number of cases, network downtime occurs as a result of poorly installed or out-moded cabling. Increasing data transfer speed, protecting data integrity will ensure effective and efficient business communication. Aspire Network Solutions offers a range of options for your voice and data cabling needs. We can help advice on the right type and category to best suit your requirements. Data needs the right category of cabling to accommodate your data traffic volume not just now but as your demands increase. Voice cabling for your VOIP, telephone, voicemail and other digital business tools needs to be able to support the quality and clarity that modern technology demands. Cat 5e: A standard data cable made of two twisted copper wires and a bandwidth of 100MHz; as a result it is found in a great many Ethernet networks. Cat 6 and Cat 6a: A more durable cable for high speed traffic providing a bandwidth up to 250 MHz. Cat 7: Able to handle the highest speeds and provides the largest bandwidth at 600MHz. Whether you are looking at a new build or refurbishment, an important factor is to assess your current and, importantly, your potential and future business needs. Aspire Network Solutions are happy to survey your site and discuss your needs. With years of experience in providing cabling services across a variety of industry sectors, and projects from small office locations to large data centres, we can help you determine the right option to meet your requirements. The cabling we install complies with international and European standards – you can be assured of quality with every installation Aspire Network solutions undertakes. We provide and install all major brands of data and voice cabling systems, from low cost to premium solutions. We are mindful of the investment you will make so Aspire Network Solutions always offers a cost effective solution to best suit your needs. Why use fibre optic cabling? Fibre optic cable is a means to enhanced data delivery over greater distances than can be supported using copper cabling. Key considerations for determining the right fibre optic cabling are not just distance and the environment but the hardware it supports and your bandwidth requirements. Single Mode – OS2 fibre optic cabling. For greater speed over distances in excess of 300m between Comms rooms.